A mountaineer and an entrepreneur, Akash Jindal has been scaling heights since the tender age of 16. Now, in the summer of 2016, he plans to climb the world&apos;s highest mountain, Mt. Everest. 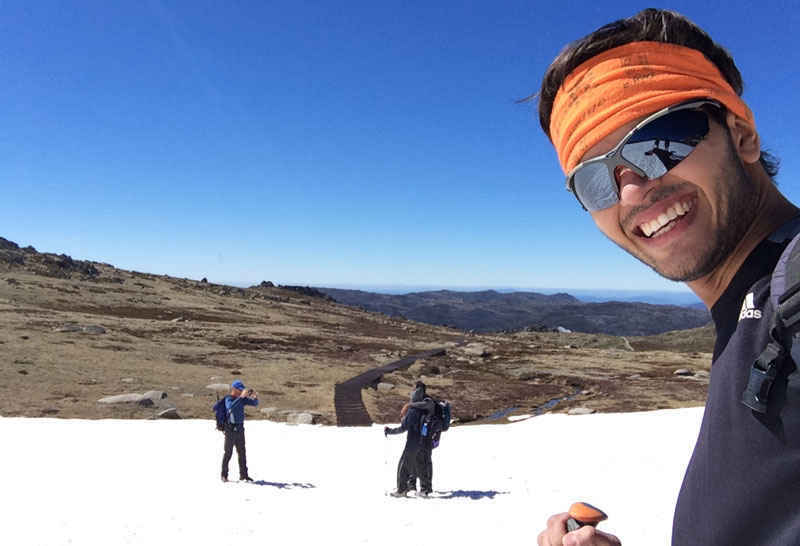 Read on as we have a candid conversation with him about how he got into climbing and his gruelling and extremely rewarding experiences. Having graduated in 2014, I never applied for jobs or sat for placements as I wanted to create jobs instead of seeking one, and give a chance to myself and my dreams of following my passion for climbing. Soon after graduation, along with a friend, I worked towards a start-up by the name of Mission Outdoors that&apos;s related to adventure travel. In the past one year, we have organised successful expeditions in Europe, Australia, Africa and Nepal. I have been climbing for about 6 years now, and I&apos;m glad as it has taken me to places I wouldn’t have been to otherwise. Now, I&apos;m working on a project to climb Mount Everest and while doing so, raise awareness about viral Hepatitis with which I had a brief encounter and realised how little we know about this life-threatening virus. Mountaineering extraordinaire, you’ve lead peaks like Mt. Elbrus (Europe’s highest mountain) and lots more at just 18, and now want to conquer Mount Everest too! What made you get into mountaineering? It was out of sheer luck that I got into climbing. I remember back in class 11 when instead of opting for a school trip to Goa, I decided to do one thing I had never done before. I browsed and found a kayaking course but since it was already full, I was offered a chance to do a basic mountaineering course by the same institute. I picked up climbing just like a fish to water and have been climbing ever since. 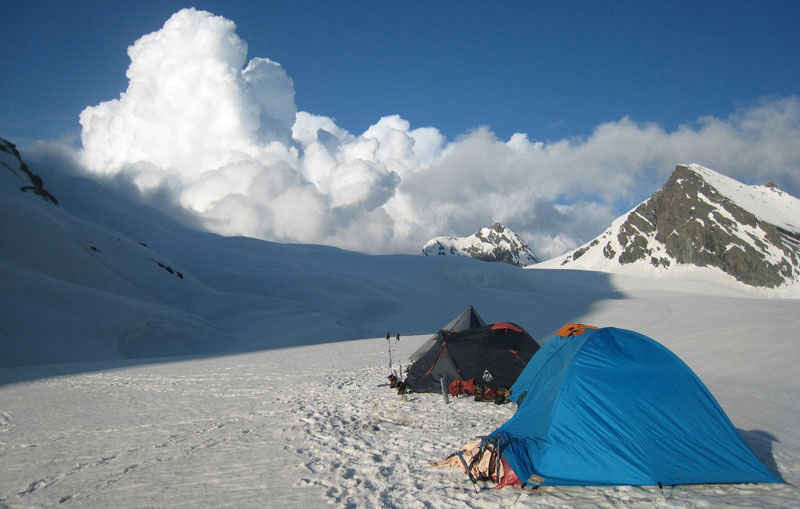 My climbs range from the highest mountains of the continent to virgin peaks in the Himalayas to winter climbs. Now I want to go for the most rewarding one yet - a climb to Everest. I was just waiting all this while to gather the right skills and patience, and I believe the time has now come. Out of all the places you’ve trekked in, which one was the absolute best destination? Deo Tibba, a peak of over 20,000 ft in Himachal is without a doubt the most beautiful climb I have ever done. It was a gruelling climb, as we were just a group of friends climbing when all the climbs in that area got cancelled because of the 2013 tragedy of Uttarakhand which affected parts of Himachal as well. Since we were young and crazy, we gave it a shot and were successful. Sometimes, life rewards you when you least expect it! The trek to the base of the mountain was in itself a treat as the route passes through many streams, pasture lands and a beautiful valley. People with little or no experience can also tread their way to the base at least. 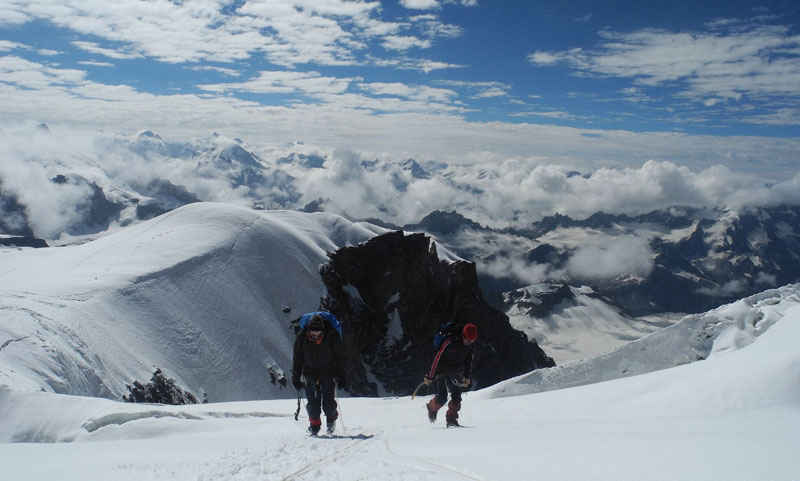 What kind of preparation do you need to undertake for climbing Mount Everest? How gruelling is it? Climbing Everest is a different game altogether. Personally, I believe climbing mountains has more to do with the strength of the mind than the body. Of course, a person needs to be in good physical shape to play any sport but climbing is so much more about will power, patience and perseverance. At an altitude as high as Everest, the body gives up long before the mind. And if someone’s mind is not strong enough, he / she can probably never reach its summit. At high altitudes, it’s not the body that pulls you up, it’s your mind! Your meditative state is what keeps you going when every next step feels like a herculean task. There are so many sports facilities in Delhi to train the body and keep you fit. Taking a 15-20 kg backpack and walking on the road for hours can help build endurance. Cycling, running and swimming are the best for cardio, and little bit of weight training in the gym with maximum reps can help strengthen muscles too. 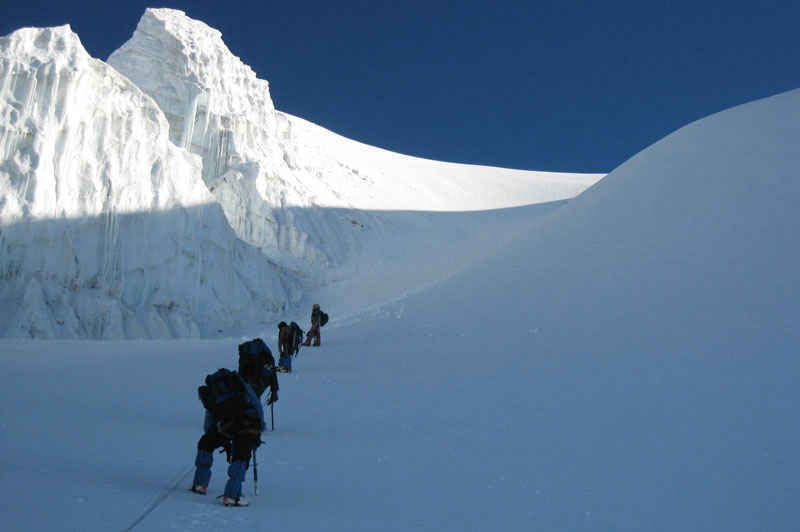 Do you feel that professional mountaineering is gaining traction in Delhi? Sport climbing is one of the shortlisted sports for 2020 Tokyo Olympics, so climbing is definitely becoming popular. I remember when I first scaled Mt. Elbrus in Russia, there were only about 5 - 7 who had done that from India. This year in August, I led a team to the same mountain and managed to put 10 people to the top in a single expedition. Also, the idea of travelling has changed now, especially amongst the younger lot. They want to explore and see unique places rather than to sit in a hotel in Paris and go for guided bus-tours. Trekking is one of the new options available. Triund and Kheerganga are popular treks done over weekends away from Delhi. And if there’s an extended trip on hand, then there are endless opportunities. With so much interest and growth in this sector, adventure travel is here to stay. What are your favourite places for sports in Delhi? People may often wonder, how one can train for mountaineering in the plains like Delhi, but there are no excuses if one is passionate. Dhauj, a popular rock climbing spot is where we climb over the weekends to hone our skills. Apart from this, I like to climb indoors at Delhi Rock in G.K. II. It’s a great indoor facility and people keen to take a break from regular gym and learn something new while giving a boost to their fitness should really check this place out. In addition, I like to run and bicycle around India Gate. Your most cherished moment on a trek? I recall being part of an international climb with some Germans, Russians and Americans. We were near the summit ridge and just then the weather got bad, really bad. Winds picked up in a matter of seconds, temperatures dropped and it was completely white out, and it was just not possible to see 5 m ahead or behind me. I was scared as I couldn&apos;t see anyone in sight and from what I remembered, there was a drop on either side of the ridge. Since I didn&apos;t want to take a wrong step and fall into the abyss, I stayed there for about half an hour hoping someone would be coming my way. My body started to freeze and I was about to give up. In such moments, death seems so near. My whole life flashed right in front of my eyes. More than being scared of death, I was thanking god for giving me this life. My fingers got numb and just then I saw a figure charging towards me. There was some sort of an energy that ran through my body as I saw him. He was equally rejoiced to see me as now we got some hope that we may just survive. Now when I look back, I narrate all this with a smile on my face. Mountains are great teachers, they introduce you to yourself. It is only moments like these when you start appreciating life and value each moment you live. You also do a lot of campaigning on eradication and awareness on Hepatitis B. How did that happen? Let me take you back into time, a few months ago when I was applying for a visa to Iran. The prerequisite was to get tested for a few medical tests amongst which were Hepatitis B & C. It was then that I was (wrongly) tested positive for Hep B with a count of 306, while a normal person’s is less than 1. I was devastated and my entire world was shaking. During that hour-long drive back home from the lab, I kept wondering how my life would become worse in a matter of few months. I browsed as much as I could and the more I read, the scarier it became. This was a life-threatening virus! Here’s the shocker - this virus can stay inside your body in an inactive state for about 20 years, and then suddenly pop out and you’re gone! I spoke with another doctor friend who suggested a list of confirmatory tests. I chose another lab this time around. To my surprise, I was tested negative, with count 0.41. It was such a relief! This whole episode lasted for about two weeks and I was glad I came out clean. Another good thing was that I came out better informed about the very prevalent virus. I posted about this on Facebook to let people know and what followed was a call from a friend whose uncle was also tested positive and was never suggested for any confirmatory tests. He’s been on medication for many months spending huge amount of money with the black cloud of uncertainty hovering over his head all time. Clearly, there was very little awareness in the society. It was then that I spoke with one the organisations which works in the healthcare sector. Having received their support, I was all geared to do my bit of work to create awareness as much as I could. You’re knee-deep (quite literally sometimes) in lots of adventure sports. Which adventure sport do you like the best? Ha-ha. I am a curious person and would like to try everything coming my way. Apart from rock and mountain climbing, I did skydiving in Moscow recently. It was a unique experience, free-falling for 40 odd seconds, with freefalling at 180kmph and winds trying to cut across your face. I will soon go back to Moscow to get a licence to jump solo from heights. Aero sports are different from land based sport like climbing. One error in the air is enough to take your life, though on land we can still calculate the risk involved. Other than that, I am trying to manage time to do a skiing course in Gulmarg later this year. Delhi is home, the best in the world. No matter how much i crib about Delhi, it&apos;s still makes me what I am today. Mountains are peaceful and quiet; Delhi is always bustling with some or the other thing. It&apos;s weird but I love the chaos of Delhi and I especially miss this when I am climbing. We are so rich culturally and otherwise, tons of opportunities and if someone wants to do something, Delhi will hardly lack in providing an opportunity - it’s got everything. Any advice you’d like to give to all the budding mountaineers out there? Travelling or climbing looks like a dream job but there are many hidden facets to it. You have to slog a lot before tasting the rewards of it. I am still in the process. 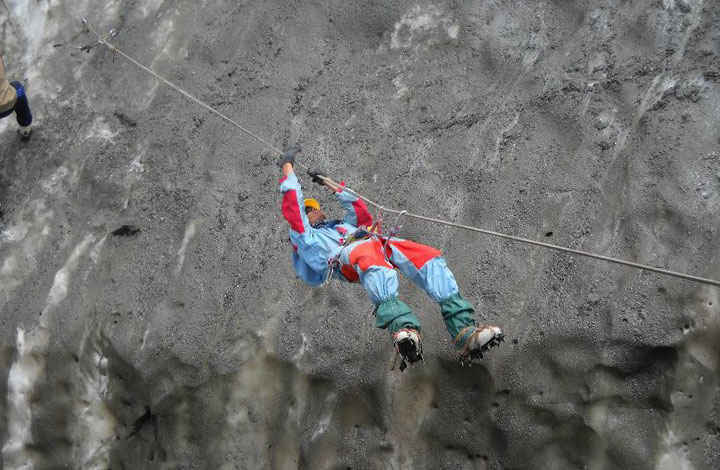 The adventure sector in India is not very organised and people with their conscious efforts are now trying to arrange it systematically and make it safe without losing the thrill. The number of travellers is growing every year and there is no dearth of opportunities here. India just hosted Paragliding world cup, so the world is watching us. If you&apos;re true to your passion and follow your heart honestly, you will most certainly wade your way out. Somehow we wait for too long for the right moment to come, but there’s no such right moment..the right moment is right now! So throw off the bowline. Explore. Dream. Discover.